The city has plenty of barriers that make biking an intimidating way to get around — speeding drivers, shoddy bike infrastructure. But for a group of nine women learning how to ride at Bicycle Colorado’s Bike School on Saturday, there are other obstacles they have to overcome first. Some of the students are immigrants who grew up in countries where women simply didn’t ride. Others crashed as kids and got scared off. One thing they all have in common? Conquering the stigma of learning to ride a bike as an adult. Saturday’s class, which was solely for women, was Berman’s brainchild. She noticed that Bicycle Colorado’s adult classes attracted a lot of people who aren’t white and weren’t born in America. So she reached out to the African Community Center, a local organization that resettles refugees, to appeal to immigrants more intentionally. She did an interview with Telemundo, too, inviting Spanish-speaking students. 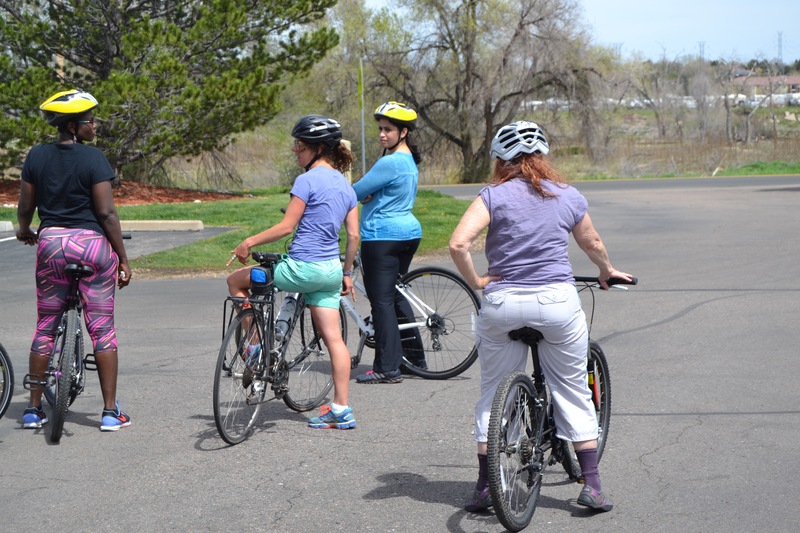 Women who were visibility shaking at the start of the two-hour lesson were smiling by the end, gliding on two wheels through a parking lot near the Cherry Creek Trail. 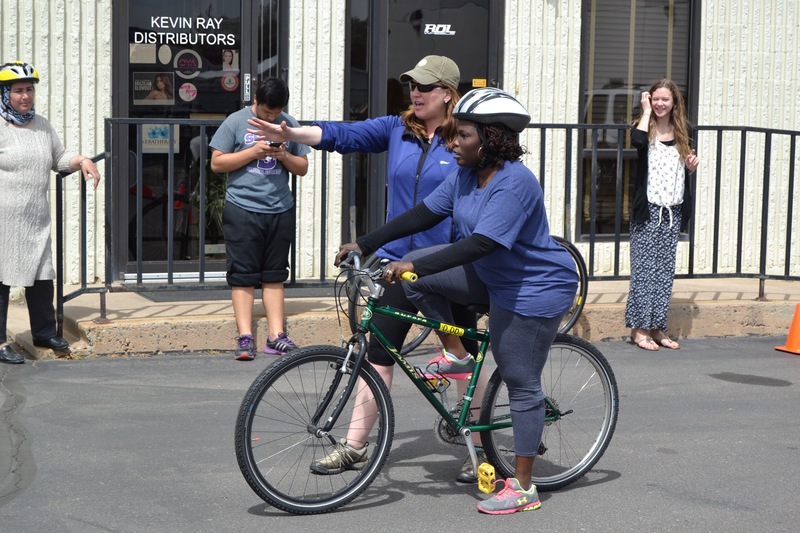 An empty parking lot is different than a hectic city street, but Berman hopes to start a “confidence cycling” class after this group learns the basics. That way, graduates can learn how to coexist with cars and bike for transportation as well as recreation. Visit Bicycle Colorado’s website for more information on bike classes. This class was free, but others cost a fee. The advocacy organization is hoping to offer scholarships, and is looking donors to help fund the program.